Detective Ko Gun-su is a troubled homicide detective. His mother recently died and the Internal Affairs are investigating his department over bribery charges. Furthermore, as he is driving to his mother’s funeral, he runs over a man and because he cannot take any more drama, he puts the body in his trunk and continues his course. Unfortunately, he is stopped by traffic policemen, an encounter that leads to pepper spraying, tasing and eventually slapping. However, his worst idea comes a bit later, when he decides to hide the body in his mother’s casket. Lastly, at one point, he receives a phone call from a man who claims to know everything that happened. Kim Seong-hun directs a film that constantly lingers between dark comedy and thriller, succeeding in the portrayal of both and thus creating a highly entertaining picture, where the spectator laughs and at the same time has a constant sense of agony for the protagonist. 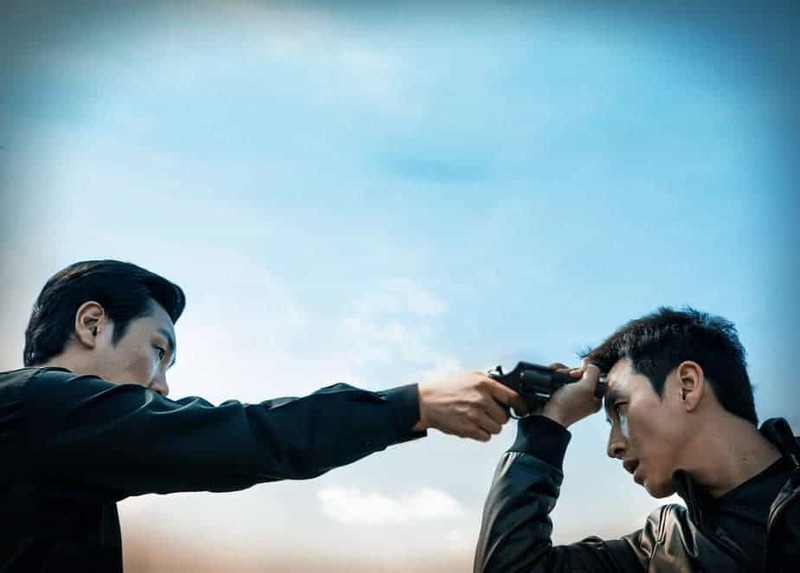 The general pace is rapid and is shot in many close-ups, a technique Lee Sun-kyun, who plays Gun-su, exploits to the fullest in order to present a character who seems resourceful, but ends up failing every time. Cho Jin-woong, who plays his “enemy”, is also very convincing, emitting cruelness despite his exterior that suggests otherwise. The various fights between the two are magnificent as they are agonizing, with the upper hand constantly changing.